Buried Alive in 2018! – Make Mine Criterion! 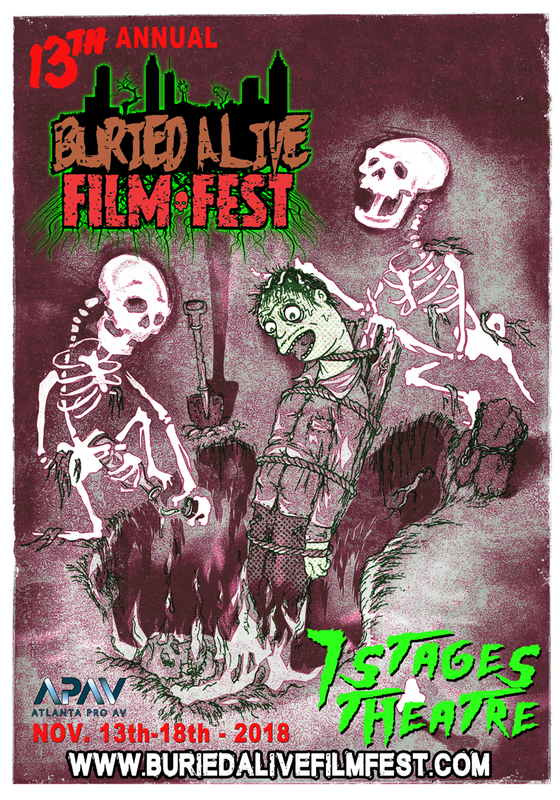 The BAFF will be crushing it at the 7 Stages Theatre in Atlanta, Georgia, from November 14-18. Their full line-up can be found on their website and I’ve created a Letterboxd list of the 2018 BAFF program for anyone interested. While we wait for the 13th edition of Buried Alive to arrive, let’s preview its weird and wonderful feature film program! 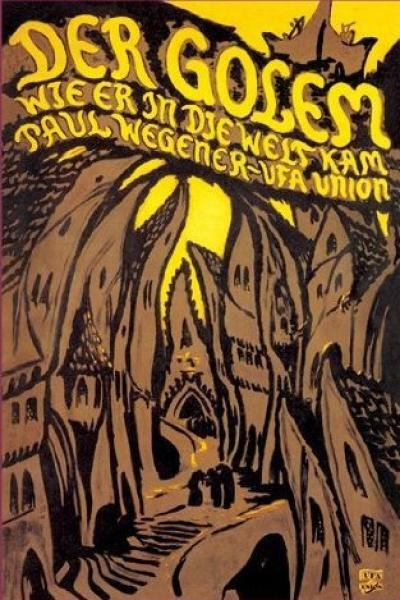 In 16th-century Prague, a rabbi creates the Golem – a giant creature made of clay. Using sorcery, he brings the creature to life in order to protect the Jews of Prague from persecution. BAFF presents The Golem with a live soundtrack performance from Atlanta’s very own “psychedelic instrumental space jazz” group, Samadha! An American college student named Penny is erroneously apprehended during a dissident round-up in the banana republic of Rattica. She is incarcerated into the island penal system overseen by Wardress Von Krupp who is constructing the world’s greatest information extractor. Crocodiles, religious zealots, psycho inmates and voodoo-based experiments block her every escape. Life is cheap and the jungle explodes in Amazon Hot Box. On Alex’s farewell party with his friends, three strange invaders will kidnap them with the only goal of playing twisted mortal games while they stream it, turning all this insane torture into a viral show. Following an end-of-term school ceremony, the American boy Bobby decides to go with his friend Akkun into the mountains outside their village, to a place perfect for a secret base. On the way they stop into a mysterious amusement park. They have fun there, but are attacked and cannot leave. Falling in with some other children who are also lost there, they fend off a number of attacks, and gradually learn the truth behind the facility. It was put there by a man named Koike as a trap for passing children. His son Takashi needs to feed on human children in order to survive. Akkun is killed, and Bobby is captured with Tokiko, a girl they have met there. She disappears, and Koike goes to work on Bobby, trying to fatten him up. Bobby manages to escape. With the help of Saruyoshi, a mysterious old hermit, and the animals of the forest, Bobby builds up his strength and returns to the facility in an attempt to save Tokiko. The Lost Boys with Live Performance by Blast Off Burlesque! Before the film Atlanta’s favorite gals and ghouls from Blast Off Burlesque! will put on their one of a kind performance inspired by The Lost Boys. It’s Halloween at WKIZ when the malicious Mistress of Midnight (Erin Brown) arrives to host her annual horror movie marathon ‘Dead by Midnight’. When the WKIZ staff begins disappearing only to turn up in the increasingly darker films, it’s up to line producer Candice Spelling (Hannah Fierman) to stop the Mistress of Midnight before her final and most diabolical film goes to air. Starring Hannah Fierman (V/H/S and Siren), Davi Crimmins (Atlanta’s Q100 Bert Show) and cult movie icon Erin Brown (Masters of Horror) as the Mistress of Midnight. Survival of the Film Freaks is a documentary exploring the phenomenon of cult film in America and how it survives in the 21st Century. The documentary traces decades of film fanaticism up to the present, where the ‘digital age’ has transformed the way we experience movies. The goal with CLOWNADO is to make a damned good, scary and splatter-filled, nonstop roller coaster ride of a Horror movie. It’s something new, fresh, original and unique but also familiar. Using only Practical Special Makeup Effects and old school styled Visual Effects, CLOWNADO has the vibe of Classic Horror movies we love. Think Evil Dead, Dead Alive, Bad Taste and Texas Chainsaw Massacre if Lucio Fulci was directing, all mixed in a swirling storm of insanity. Now add in scary supernatural Clowns and the cinematic visual style known as FILM NOIR. – intense composition with shadow and light – and a bit of that incredible John Carpenter suspense (John was also influenced by Noir classics) – and you have an Ambitious, Over the Top Gorefest Epic! Don’t judge a book by it’s cover – This is certainly no comedy.